After keeping a low profile for most of the production – post production phases, team Athiran seems to have decided to start the campaign. Well, the posters released by Athiran last month, have managed to get an attention from movie buffs. Now, the official teaser of the movie has hit the media. The 42 second long teaser featured Fahadh Faasil and Sai Pallavi, in an intriguing manner. What made the teaser of this Vivek directorial special was, that of the presence of the BGM score by Ghibran. Making his debut in Malayalam cinema, Ghibran’s BGM has given a mysterious and eerie atmosphere to the project. 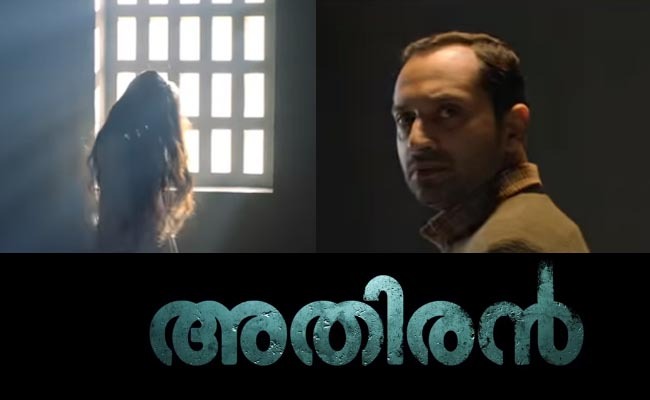 Roaming around a mental asylum, Athiran features Fahadh in the role of a doctor, while Sai Pallavi would essay the role of an autistic patient. All set to hit big screens on 12th this month, Athiran is been produced by ‘Century Investments’. Thala’s Nerkonda Paarvai shooting is over..!